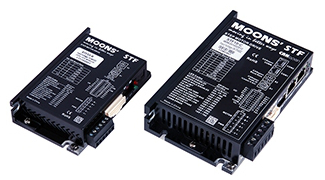 The STF series are high performance fieldbus control stepper drive which also integrates with built-in motion controller. 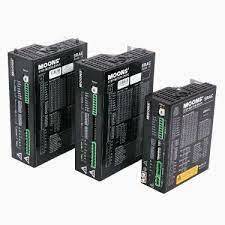 The drives can be controlled by SCL, Modbus, CANopen, eSCL, EtherNet/IP or EtherCAT in real time. 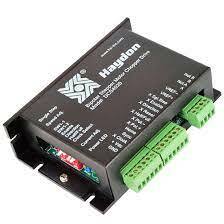 Motion profiles can also be programmed and stored in drives (Q Program) and then be triggered by fieldbus commands. These drives are designed for connection to any open loop stepper motor without feedback. The Step-Servo is an innovative revolution for the world of stepper motor, it enhances the stepper motors with servo technology to create a product with exceptional feature and broad capability. Complementary motors are equipped with high resolution encoders. SR Series Two Phase DC Stepper Motor Drives with DC Input, DIP and Rotary Switch setting, Pulse & Direction Control Drive. 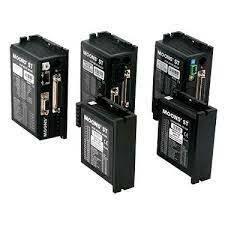 They are cost-effective, high performance step drives. The design is based on advanced digital current control technology and features high torque, low noise and low vibration. The running current, microstep resolution and other parameters are switch selectable. 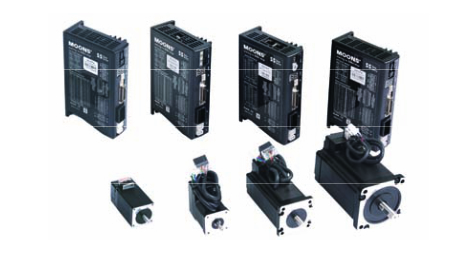 ST Series Two Phase DC Stepper Motor Drives series integrate motion control capability that support stand-alone programming and various bus control as RS-232/485, Ethernet UDP/TCP, CANopen and EtherNet/IP. They are compact digital stepper drives with multiple control options and many sophisticated features. Step motors run smoother and faster than ever with features of advanced current control. 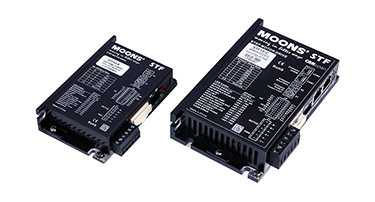 With multiple control options, ST series support stand-alone control mode Q programming and various industry field bus controls as RS-232/485, Ethernet UDP/TCP, CANopen and Ethernet/IP. The ST series also has optional encoder feedback with close loop for improved system performance and reliability. SRAC Series Two Phase AC Stepper Motor Drives feature advanced Current Control, Torque Ripple Smoothing, Anti-Resonance, Microstep Emulation. They are cost-effective, high performance step drives. The design is based on advanced digital current control technology, and features high torque, low noise, and low vibration. The running current, microstep resolution and other parameters are switch selectable. 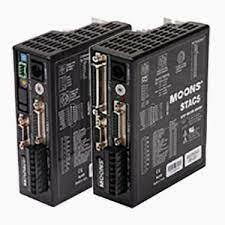 STAC Series Two Phase AC Stepper Motor Drives support stand-alone programming and various bus controls such as RS-232/485, Ethernet UDP/TCP, CANopen and EtherNet/IP. AC input high performance digital stepper drives have multiple control options and many sophisticated features. The STAC series support stand-alone programming and various bus control as RS-232/485, Ethernet UDP/TCP, CANopen and EtherNet/IP. Haydon Kerk Motion Solutions™ High Performance Micro stepping Chopper Drives based on some of the most advanced technology in the world today. Providing a cost effective solution for production volume requirements, the small size allows designers to use these Drives in limited space and they are also easily integrated with other electronic systems. Design time is reduced because incorporating these Drives is far simpler than developing a custom drive circuit. They are suitable for driving 2-phase step motors (maximum current ratings of 2.8 A and 5.5 A rms per phase). These specially designed Drives deliver optimum performance throughout a greater speed range. By using an advanced bipolar constant-current chopping technique, and a maximum input voltage of 80 VDC, they can produce more speed and power from the same motor, compared with traditional technologies such as L/R drives.